Nvidia’s RTX series of graphics cards are the most powerful consumer GPUs ever made. They add new technologies that bring about lighting techniques thought to still be years away from being practically possible and overhaul Nvidia’s now-classic reference cooler design. But all of it comes at a price. The new-generation graphics cards are an order of magnitude more expensive than their predecessors, even factoring in recent pricing problems faced by graphics card buyers all over the world. Here’s the breakdown on what these cards are and what they can do. The lineup of desktop Nvidia RTX graphics cards you can buy right now is five strong. 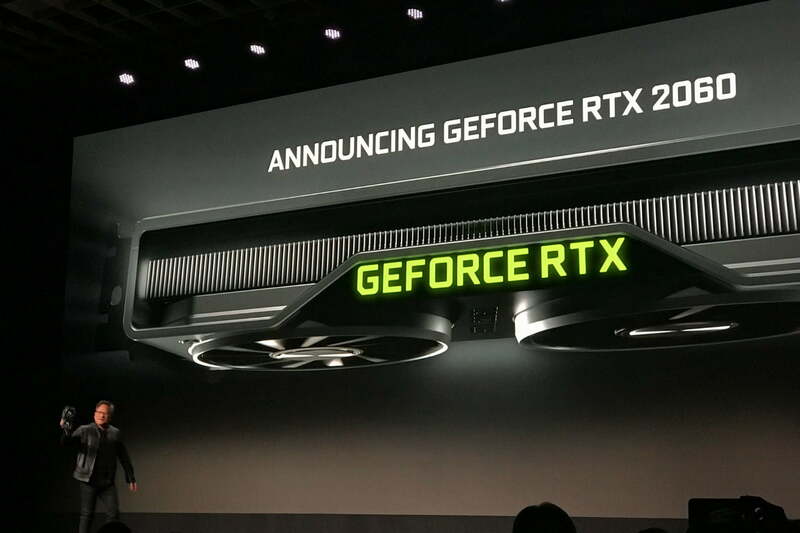 It includes the newly announced RTX 2060, 2070, 2080, 2080 Ti, and the Titan RTX. They are available direct from Nvidia as “Founders Edition” variants with higher clock speeds and a reference cooler design for $600, $800, $1,200 and $2,500. All but the Titan RTX are also available in various guises from third-party manufacturers with all of the typical aftermarket bells and whistles like alternative coolers (including water cooling), lower and higher overclocks, aesthetic changes, and feature support. Prices for those start at $500, $700, and $1,000 and range up and beyond that of Nvidia’s direct-buy options. Although those are exclusively high-end graphics cards, Nvidia did court the mid-range market with a new announcement at CES 2019. 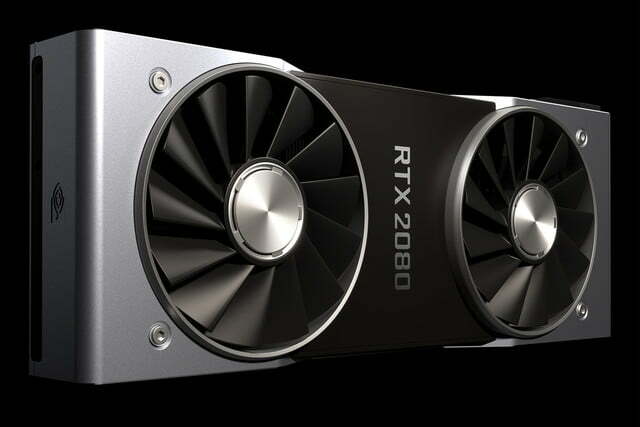 The RTX 2060 is set to go on sale on January 15 for $350 and will offer the same feature set as its more expensive siblings, with reduced performance capabilities. That’s still not an affordable card, but the power it offers at that price could make it the most attractive card within the RTX generation. It’s not known as of yet what Nvidia plans to do with more entry-level replacements for its older cards. 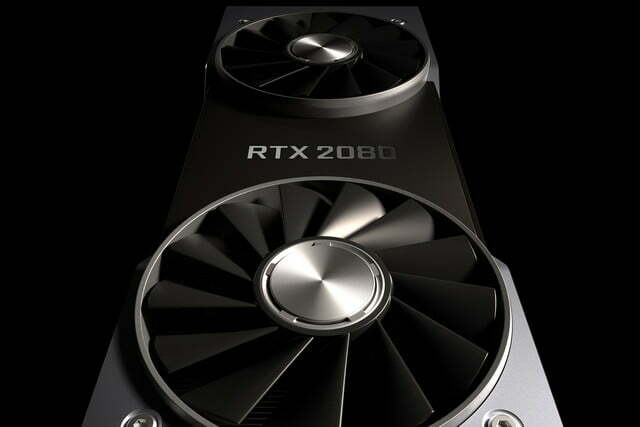 There have also been some leaks related to what may be an RTX 2050, though others have suggested that this may actually be an 1150, leading to an offshoot of the Turing generation of RTX cards that retains the classic GTX moniker. CES also saw the announcement of mobile iterations of the Nvidia RTX GPUs. The two we know about so far are the RTX 2080 and RTX 2060. We’re told that some 40 laptops with RTX graphics will be shown off during the expo. Some will be fully-fledged RTX GPUs, while others will be Nvidia’s more modest and efficient Max-Q designs. Nvidia also confirmed partnerships with a number of companies to use these new mobile GPUs to accelerate more than just gaming. We’re told that certain 3D modeling, animation, and video editing software will be able to accelerate their processes using an Nvidia Turing graphics card or chip. After Nvidia stuck to purely ray tracing performance comparisons in its Gamescom reveal, our own testing of the RTX graphics cards proved that the cards were the most powerful ever released, but not by that much. They are far better at ray tracing than their last-generation counterparts, but in general gaming they mostly just shuffled up the performance spectrum one notch. There’s no denying that the 2080 is more powerful than the 1080, and the 2080 Ti more powerful than the 1080 Ti, but that’s far from the whole story. The 2080 falls behind the 1080 Ti in some tests, perhaps most notably in our 4K ultra gaming test. Pricing of the new cards proved problematic initially after launch, as their relative-performing counterparts in the previous generation were often available at lower prices. Ultimately, the 2080 and 2080 Ti are around 20-30 percent faster than their last-generation counterparts in the most stark of scenarios, but in many tests that gap can be as little as single-digit percentage points, so performance improvements depend on the software being run. The same goes for the Titan RTX. Itself a slightly more capable RTX 2080 Ti, it has proved more powerful than even the monstrous Titan V in many settings, though will itself likely be reserved almost exclusively for rendering and enterprise tasks. The RTX 2060 is a little more impressive, in that it’s more of a GTX 1070 analog than a GTX 1060 replacement, but its performance still isn’t staggering. Especially when you start playing around with more advanced features like ray tracing (see below). Nvidia’s benchmark at CES showed it beating a GTX 1070 Ti in some games, but those results were a little disingenuous. They paired the RTX 2060 with a $1,000 Intel 7900X CPU which is far from a likely scenario in the kind of mid-range gaming systems which the RTX 2060 is targeting. In the limited third-party testing we’ve seen so far, the 2060 performs a little better than the 1070. We’ll want to get our hands on one of these cards ourselves though, to give you some more accurate results. Our hands-on performance numbers are around what we expected to see based on the raw specifications of each card. There are a number of interesting inter-generational changes at play with the RTX Turing generation. The CUDA cores have increased by similar sorts of numbers — although not percentages — as between the 9oo series and the 1000 series graphics cards, which is why we see a noticeable, if not significant, increase in general performance. Clock speeds have actually come down, which isn’t wholly surprising, but when shown in conjunction with an increase in power draw, is a little more so. It could be that those RT and Tensor cores require some juice of their own. GDDR6 memory provides a solid bump in speed and bandwidth for the 20-series, bringing both the 2080 and 2070 almost in line with the GTX 1080 Ti, though not quite. Now we know that whether the 2080 can compete with the 1080 Ti is really dependent on the software being run and at what settings. The 1080 Ti is going to fall behind when ray tracing is involved, but in more traditional lighting scenarios, it should be competitive, if not still more powerful than the RTX 2080. 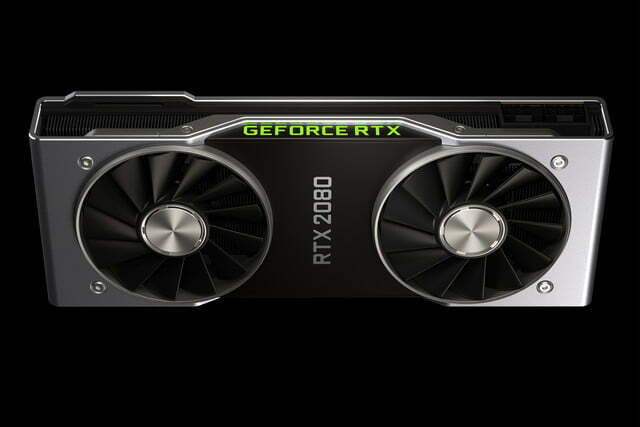 While the number of traditional CUDA cores in the new graphics cards has increased across the board, the more exciting achievement of this new generation, we’re told, is the addition of dedicated hardware for ray tracing and AI. The Turing architecture includes RT cores which use clever tricks to accelerate ray tracing to make it possible to produce realistic lighting and reflections within games. These new technologies at the heart of the 20-series architecture mean that certain games will be able to leverage real-time reflections and advanced anti-aliasing techniques like never before. It’s a beautiful technology, but a costly one. Early tests showed that ray tracing, even on the most powerful cards, could only be effectively rendered at 1080p and 1440p at playable frame rates. Even after optimization patches. Arguably the more intriguing technology these cards make possible is deep learning super sampling, or DLSS, enabled by the RTX-series’ Tensor cores. They effectively use AI on the cards to simulate higher resolution rendering without the performance overhead. It’s not perfect and the list of supporting games is still small, but there’s a lot to be excited about with DLSS. If it sees wider adoption, that is. 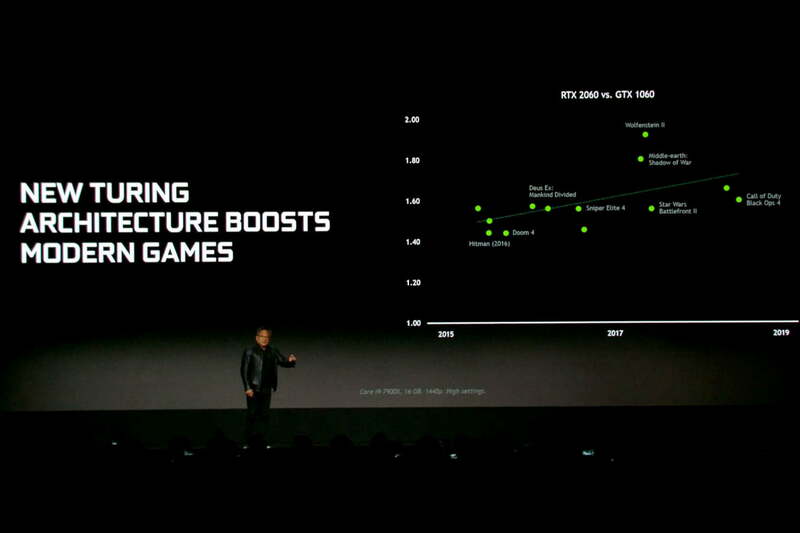 Nvidia is touting it as being of great benefit to lower-end cards though. With the RTX 2060, we’re told that it can reach performance levels of a 1070 Ti when ray tracing and DLSS are enabled, even when the former isn’t ray tracing. That said, games that support either technology aren’t common right now, and games that support both are rarer still. While the hardware inside the 20-series cards has changed, the exterior has received a major overhaul too. After decades of single fan, reference graphics cards, Nvidia has added a second to its design. It’s created a much more insular blower set up, no doubt to ensure that temperatures remain consistent with the higher-power requirements of the new RTX 20-series graphics cards. This has resulted in cooler and quieter cards, but that’s not always the whole story. At the back end where you’ll connect up your display, the 20-series offers a few port options. Alongside more typical DisplayPort 1.4 and HDMI 2.0b connectors, there’s also a VirtualLink; a USB-C-shaped port that is designed to provide power and video to virtual reality headsets. Although none of the major ones support that feature just yet, it could mean a cut down on cables and cable size for VR in the future. As exciting as all of the above features and specification improvements are, they must be taken in the context of cost. 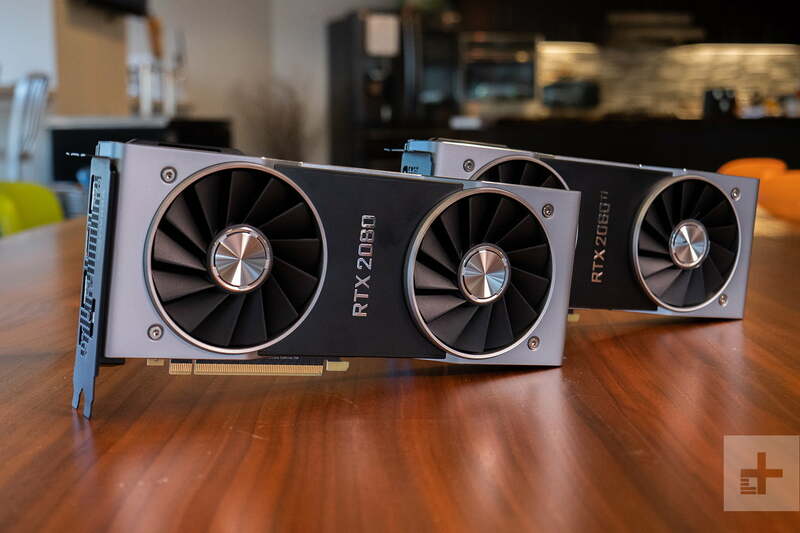 The RTX 20-series cards are the most expensive new Nvidia GPUs have been at launch in a long time and by quite a margin. The RTX 2080 Ti costs $1,200 for the Founders Edition and no less than $1,000 from third parties. The 2080 is priced at $800 and $700 respectively, while the 2070 is $600 and $500, at least. 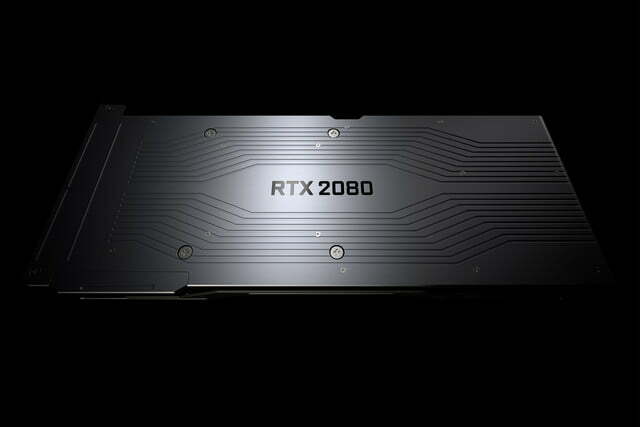 The latest RTX 2060, meanwhile, will cost $349 at release. That’s a lot of money, even for high-end cards. The 2060 is much better value for money and if you were eyeing up 1070 Ti or 2070s are potential upgrade options, it’s not far off their capabilities and far more affordable. It’s still not a cheap card though, and more budget-conscious gamers will likely be keeping an eye out for something that’s more of a GTX 1060 replacement in the near future. Like the rumored 1160. We would expect similar if not even greater pricing leaps in the mobile space. While ray tracing on a small laptop screen may look beautiful in certain settings, we’re skeptical of how much of a visual improvement it may be in general gaming. Gaming laptops are typically sold at a premium too, so with RTX hardware under the hood, that may only be exacerbated. Ray tracing is unlikely to be adopted heavily by developers until there is a large enough number of RTX-capable cards out there. It may well catch on in the years to come, but it’s going to be some time before the majority of gamers can support it.